Learn more about what the act of hiring for happiness can do for your business with this short video, and download the complimentary Hire For Happiness white paper. Patrick has been helping companies hire for happiness across the globe for over 20 years. Read success stories, recommendations, and reviews for Patrick's services here! Before using your hiring system, we did have some tech in place and did have some successful hires but it was hit or miss and I did not have a high level of confidence in the process. Since putting in your system we have had several successful hires and I have a very high level of certainty in this line. I know that the people we get will be the best of the best and at the same time we are taking the proper steps legally to protect us. You did an amazing job putting this together. The system we put in place for the establishment and reviews of our staff is also very solid. Thank you for creating this and helping us put it in. I took your class in Rockville, Maryland with Digicon on September 21st and unfortunately I’m only just getting around to emailing you. I just wanted to say that without a doubt in my (sigh!) 25 years of Project Management that this was the best class I have ever attended. Your presentations and your information were invaluable and I look forward to possibly attending more classes in the future. I’m writing this because I think all too often you only get complaints in our business – but this class was awesome. Thank you! Your hiring suggestions, as outlined beautifully in your new book, No Fail Hiring, along with your consulting advice over the years is exceptional and exchange in abundance. There is so much reality and TRUTH in the book you recently released. I have had no less than 10 of my own clients benefit from buying and using it….you make my life so much easier for the people I consult who struggle with the travails of terrible hiring processes that are the norm. I went from knowing nothing about HR to being able to interview and hire candidates who are in fact candidates whom I want working in the company. No more wasted time hiring and training someone who turns out to be “nothing but trouble” or a “waste of time and money. It’s fast, it’s easy and it works. With the No Fail Hiring I have the tools and more importantly to me the certainty to hire the people I know will produce the needed and wanted products and help carry out the big picture of the company. Over the last few years I had a string of staff problems. After firing one staff a few months ago, I said ‘enough is enough’. I had calculated this one staff had probably lost our business over $100,000 as well as good will of our customers. I realized I did not know enough about hiring. A leading business consultant recommended Patrick Valtin. He said, ‘Patrick had THE hiring system.’ He was right. I studied and applied his simple but comprehensive No-Fail Hiring system. The way I did hiring in the past was “no system” in comparison to using the system and relied on luck and feelings. I have now better staff on my team, who are producing and we’ll probably have our best year ever. Also, I have much more confidence in how to hire great staff predictably and with a system that anyone of my staff can help me with to administrate the process. The No Fail Hiring system has been super valuable to us. It is so systematic and “turn-key,” we just follow the steps and are reaping the benefits with a much better team, morale and overall performance. Thanks! There aren’t enough stars! I would give way more if I could. Honestly, I don’t know how we survived before we implemented the No Fail Hiring system. Patrick is a rip-roaring genius! He’s been consulting me in my business for 10 years – doing countless seminars to my staff on countless subjects from leadership to customer service. Do not miss this amazing opportunity to hire the best and keep them with you. No Fail Hiring is the best hiring system there is and I’ve looked at a LOT of them. It works. Come see my amazing staff if you don’t believe me. There are 200 of them! The No-Fail hiring system is amazing! I am able to find very specific information about any candidate that I won’t be able to find out any other way. I can then get in comm with the applicant about it. Its great. I have not hired candidates where everything seemed fine but I just couldn’t put my finger on it until I got the tests results back. This has of course saved the company wasted money and time and of course a whole of extra stress on me finding the right candidate for any post. Our personnel turnover has decreased because we are actually choosing and hiring the right candidate! In addition, I just love that I can talk to you guys whenever I want about any test that I need help with. There are no extra fees for this or anything other than total help. You guys are awesome!! No Fail Hiring is great to work with! They go above and beyond to ensure we get exactly the kind of candidate we are looking for. They’re very professional and easy to work with. They’re the only company we work with now, after trying out different ones. If you’re looking for quality candidates, No Fail Hiring is the way to go! Recruiting new person could fall; when not understood well, into the practice of “minimal necessary actions done,” trying to find somebody who will; for the price you are willing to pay, join your company. There is also how long are you going to try and find your guy? You are, probably, going to end up and compromise, hoping you are going to be lucky with your choice. With Patrick and his team, all happened quickly and very professionally. He started by studying our company and built a profile for the job. His process of recruiting starts from the ads he compiled and published in numerous locations all the way to initiating the person on the job (day 1, first week, after a month and after 3 month recommended procedures). The No-Fail Hiring team very quickly got numerous people interested in the position. They went through their data, did security check on them and I received only the ones they saw fit to what I was looking for. I than interviewed the ones they passed to me, all options were very good, it was a hard choice, many were very qualified, I eventually picked my guy. Today, three month later, I am using No-Fail Hiring again recruiting two more people. The guy I hired is everything I was hoping for. This is the best hiring system that really helps you to avoid very painful hiring mistakes! We are using it for 4 years already. I’ve used Patrick’s No-Fail Hiring kit with several of my clients and have had great results. The first year we implemented it with one business they brought in several key people that helped to grow the company’s sales by 85%. It really is all about finding and developing the right people to grow your business. I can’t say enough about the expertness and professionalism of the principals and staff of No-Fail Hiring. The comprehensive strategies and procedures for hiring the top quality personnel for our key positions in our company have made the difference in our unprecedented expansion. We received one-on-one, personal guidance step by step through the hiring program which turns out to be by far heads and shoulders above anything I have come across in my 30 years of being in business. Art Neumann, owner of Water Damage Recovery, Oakland CA. I am a firm believer in the protocol outlined and detailed in his book! It’s helped me organize my company’s hiring procedures bring in the best candidates for our positions! Patrick is truly a genius . . . I took over my company’s HR area without formal training. This book was the most readily available training to me and I read it cover to cover the first week or two of my taking over. What a lifesaver it was! Highly recommend to all HR peeps, for a different perspective on how to hire the right talent for your company! I have been working with the No Fail Hiring system for over three years now and I highly recommend it to all Business Owners and HR personnel. The No Fail Hiring book covers everything from the essential legal aspects of hiring and retaining personnel, to the step by step process of attracting qualified candidates and hiring great employees who will add real value to your team. As a business consultant, I have worked for decades in the world of Human Resources and the No Fail Hiring system is by far the most “user-friendly” and effective hiring system available. The No Fail Hiring system is a no fail resource enhancement. The quality staff, effortless communication and amazing candidates assure any business of success. With more than 30 years in senior management and HR I am amazed at the ability of this system to bring the highest quality candidates in the most efficient and timely manner. Over the past year we have expanded our business, created levels of productivity we have never seen and retained an exceptional professional staff. The NO Fail system has allowed us to develop a dedicated team of high energy and high profile staff and create a culture of excitement and success. This system and the staff that support it are the best investment our company has ever made and I recommend this advantage to any busyness of any size. We have had an opportunity to use the No-Fail Hiring System and we are thrilled to have done so. They screened the candidates for us and sent us only qualified individuals. We ended up hiring two new staff members through The No-Fail Hiring Support about 6 months ago and we have been thrilled with their performance. Thank you for doing an outstanding job and finding us excellent new members of our firm! Patrick Valtin’s hot new book, No Fail Hiring, was very eye-opening to me. I have been helping people with their personnel problems for over 3 decades and given our increasingly complex HR environment, this is the best book I’ve seen to bring one up to speed. In fact, I went ahead and attended Patrick’s workshops on hiring and plan to use what I learned with my own clients. Thanks very much for this excellent contribution to a critical area of business. We recently starting using the No-Fail Hiring System approach in our practice, and already we’ve seen an improvement in the quality of hires that we have done. The step-by-step guidelines make it very clear how to implement the program. Immediately after the in-office training, we did hire at least 10 people to fill posts, and so far they are all working out well. I think it has really helped us narrow down our candidates to those who have the potential for success. Thanks to the system, we haven’t needed to do as much hiring recently – which is a good thing! Thanks so much for your help. Patrick is quite simply one of the world’s foremost hiring experts. Readers will be treated to hiring advise by the master himself. Patrick knows his subject matter. He’s been involved in the real world of hiring for many, many years and has successfully recruited thousands of people. He has a track record only a handful of people could approach. His book “No Fail Hiring” is easy to follow and apply. No business owner should be without it! We have implemented the No Fail Hiring system in my company and it has worked perfectly. Patrick came to my business to deliver training and help streamline our hiring process. He sure did an excellent job. I have been hiring for 27 years and this is the best system I have ever used. I highly recommend Patrick and his system. The No-Fail Hiring System has helped provide us with insight into the hiring process that we have received nowhere else. I highly recommend NO FAIL HIRING to anyone who is in business. It could save you from grief and the loss of thousands of dollars. Fantastic book that takes the complexity out of today’s hiring scene. Yes – contrary common complainants there are good people to hire out there but, as always, you have to find and then recognize them before you hire. This book will help you do just that. Read it and start building your team. Having known Patrick Valtin for many years I can attest that he writes from direct proven experience. Unlike other authors who make up theories that move through the working world like fads of fashion, Patrick provides a tested and proven hiring technology – techniques that work and get results. Any company that is interested in building great teams, without the expensive and frustrating hit-and-miss that comes with hiring the wrong people, would benefit tremendously by following the steps discussed in Patrick’s “No Fail Hiring. No Fail Hiring works! Simple, effective techniques to save you time, money and effort. I use these tools for my own business. I highly recommend anyone who has to hire employees to take advantage of this information. I first met Patrick at a seminar he was delivering on hiring and was immediately impressed by his command of the subject of the presentation. Later, I had the opportunity to work on a project for Patrick and the professionalism that he brings to everything he does really shined. Patrick truly cares about his clients and wants to help them succeed in life and business. 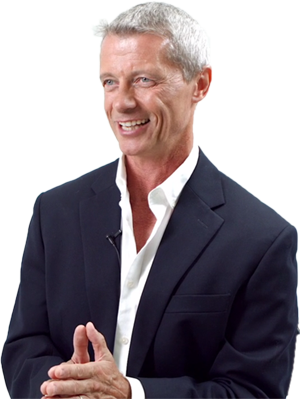 I have known Patrick for quite some time and I must say that he is one of the best speakers and trainers that I have ever meet on the field of hiring. His new book (No Fail Hiring) is really giving companies some down to earth ways to make hiring workable by showing them which parts will cost them a lot of time and money if they do not do it right. The book is well written and gives a lot of information that is much more than just helpful for a company to really find good and motivated employees for the company. His system is really a must for anyone that had/has trouble with finding the right people for his/her company. The No Fail Hiring System is a brilliant technique that puts employers in the driver’s seat when it comes to choosing who to hire and who not to. It provides certainty on the exact characteristics of people who will give you endless trouble if you hire them – as well as those who will be wonderful employees. Highly recommended. Patrick provided Digicon in No-Fail Hiring practice and principles; it included coaching and lessons of step-by-step best process for the day-to-day recruiting and interviewing. It’s not only useful for building the long-term value in any organization, but also so practical that we could benefit from its immediate execution. Building a great team is a challenge to any leader and vital for the success of an organization, Patrick had great insights and experiences to translate a difficult issue into a result-oriented management best practice. I recommend his approach to anyone who wants to be a successful person in business and in life. John Wu, CEO DIGICON INC. I work in healthcare and the problems of personnel are common throughout the entire field. I read this book out of desperation and looking for answers. The book is a bit dry and is 100% business. If you’re looking for answers on how to hire and keep the best employees, this is the book to read. I love the fact that it’s not just how to hire anyone, it’s how to hire and ATTRACT the best people. This is by far the best book I have read regarding recruiting new employees. It is vital for any business owners, big or small, to know the information in this book. Many have gotten into legal trouble because of a wrong hire, which then leads to emotional and financial problems. By applying what is in this book, you can be sure never to have to deal with this sort of situation ever again! This book is about helping business owners surround themselves with loyal, productive and dedicated people who can share their passion for performance, profits and purposes. It is a practical guide to select only real performers while avoiding potentially fatal legal trouble related to personnel selection. In the new job environment, hiring right is the number One challenge of any expansion-driven business owner. Written for small businesses, the book shows you exactly how to comply with the increasingly drastic employment regulations and how to ensure that you do NOT attract trouble makers the back of the book including the web resources that were provided. My take on the book: This book is an amazing book that takes any business owner or supervisor that looks to hire and retain quality employees. The book is amazingly easy to follow and is set up in such a way that you can easily identify what you need depending on the situation itself. I liked some of the pull out “Did you Know” sections. I also liked the great reference sections at the back of the book including the web resources that were provided. To me, this is definitely a wonderful guide for human resource professionals as well as any person hiring employees. What was great was that this book had everything that you could need in making good decisions. The book was definitely well researched and there are both practical examples and good links to research and federal and State mandates. If you hire employees, this book is a must have! I am a firm believer in the protocol outlined and detailed in his book! It’s helped me organize my company’s hiring procedures bring in the best candidates for our positions! Patrick is truly a genius . . . I took over my company’s HR area without formal training. This book was the most readily available training to me and I read it cover to cover the first week or two of my taking over. What a lifesaver it was! Another fantastic resource that we took advantage of is the Recru-Tec test. It’s an online platform that can be sent directly to candidates for them to fill out. It gives you a good idea of the strengths and weaknesses that you would encounter with that candidate. One of the best features is that it helps you analyze the results, and the ideal scores vary per position! The test has really helped us to evaluate candidates for all roles. Highly recommend to all HR peeps, for a different perspective on how to hire the right talent for your company! I use the Recru-Tech personnel testing, and I am more than happy with it. From the simplicity of using it by just digitally sending it to our applicants, to the detailed analysis that we receive after a candidate completes the test. Even the candidates like the test and many times agree with the results. Most importantly, is that the test provides an easy to understand and use objective technique for measuring employee candidates. My HR dept loves the test and they tell me frequently that this test was a game changer. Thanks to the No-Fail Hiring team for training us to use the test and providing the service! This is a very valuable tool with great insights, accuracy and predictability! In addition to great screening and interviewing, Recru-Tec assessments should be an indispensable step in any employer’s process, who is concerned about finding the right match for any vacancy. The Recru-Tec Test is a very beneficial test. It tells you the weaknesses and strengths of the individual and what type of leadership and management the person is best suited for. In my opinion, it can tell you whether the person will work within your company culture. It is not a mind-reader and there is no employee-difficulty proof test – you sill have to use your judgement and objective evidence of the candidate’s production record and skill sets, but it is an excellent analysis for employment applicants. The test is great, very comprehensive, I like the level of detail and I can use the test results to highlight points that I saw or didn’t see in the first interview for Ellen when she does the second interview. Patrick will help you discover the proven strategies that will contribute to the overall productivity and the ongoing stability you need in your business. Find out how talent acquisition dictates your success, the impact of hiring right on profitability, the 8 golden rules of “Master Hiring” & so much more!